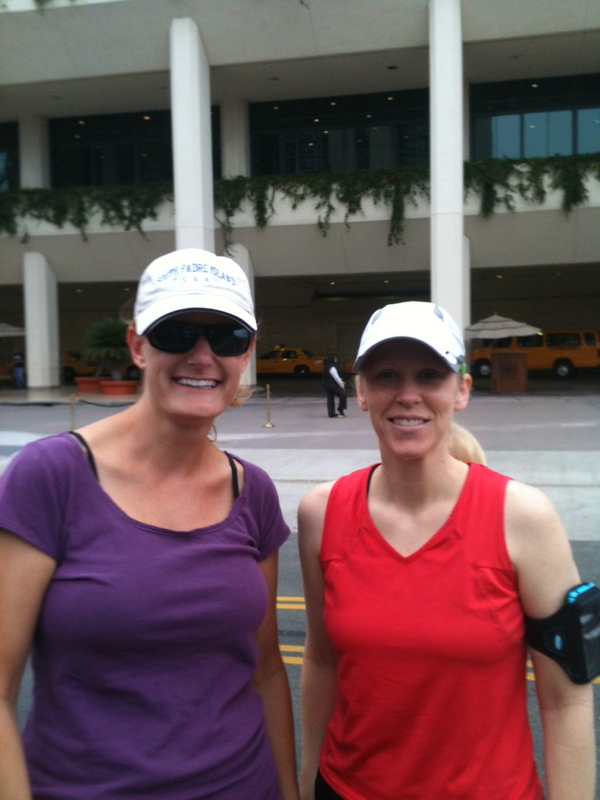 Out for a run with Laura Griffin in Anaheim. 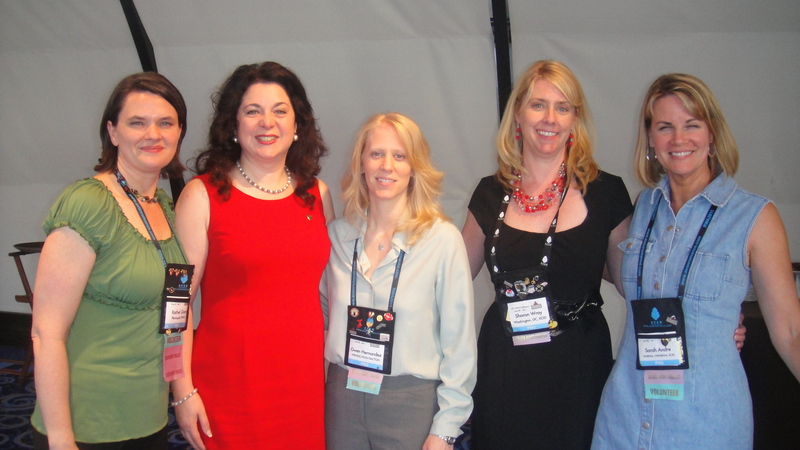 Next week is the Romance Writers of America National Conference in Atlanta. I have so much to do! I think my wardrobe shopping is done. I just need to determine each day’s outfit, try it on, and take a picture for Evernote so I won’t forget what I planned to wear. (Yes, I’m THAT type. You’re surprised?) This is how I stay organized and limit what I take to one carry on suitcase and a tote bag. That’s right, I get two cocktail dresses, heels, five days of professional wear, evening outfits, workout clothes, toiletries, and all my shoes into one bag. Newbie me with AJ Brower in Orlando. Despite all the prep, planning, and expense, I love conference. I learn new things about writing and the publishing industry, make new friends, and catch up with old friends. I come away energized (after about a week of recovery sleep), motivated, and inspired. This will be my fourth year attending Nationals, and every one has been worth it. Each year has had different personal theme associated with it, and this time is no different. 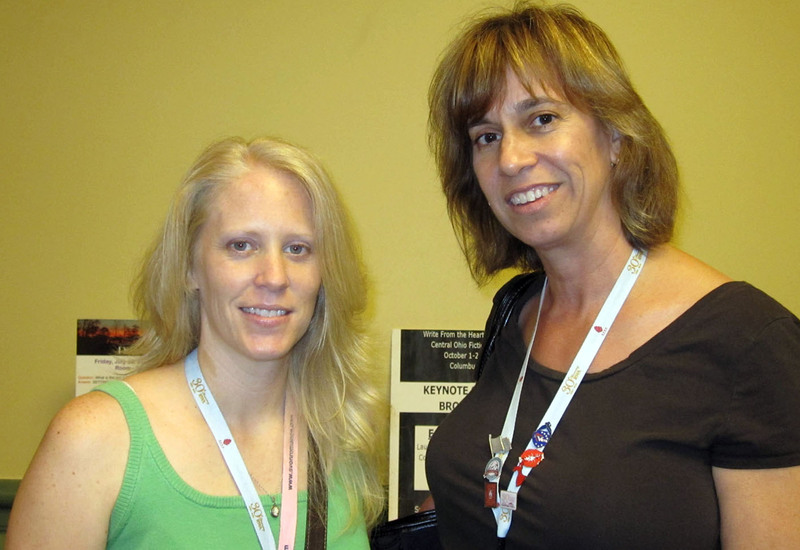 The 2010 conference in Orlando was the first year I’d attended a writing conference of any kind. I hardly knew anyone outside my local writing chapter in the beginning, but by the end I'd made several friends that I still keep up with. Romantic Suspense Golden Heart® finalists in NYC. The second year in New York, I was a Golden Heart® finalist. The whole week was an absolute whirlwind, but a lot of fun. I had made a bunch of online friends in the intervening year, and it was neat to meet many of them in NYC. My first year as a published author! Last year in Anaheim was a biggie. It was my first year attending as a published author (though not in romance), and the number of people I knew from previous meetings, my online classes, or online writing groups was staggering. This year will be my first time presenting at the national conference. 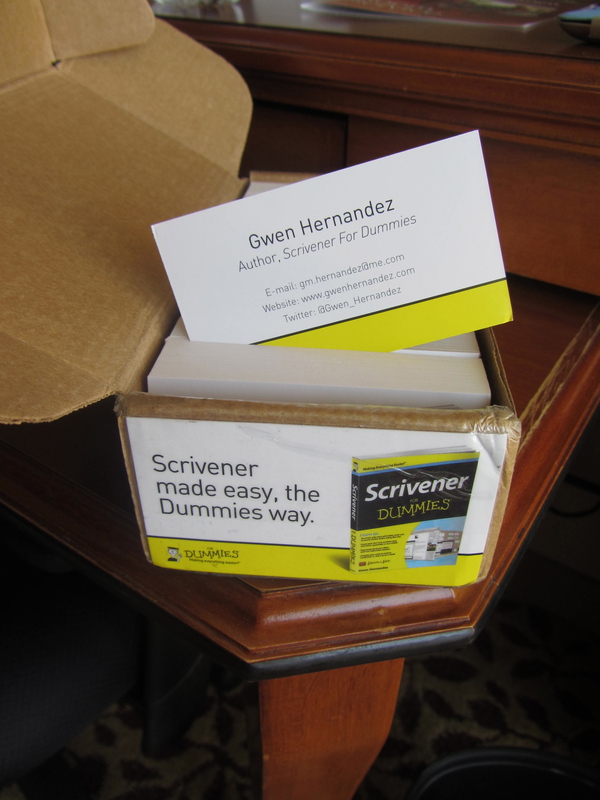 I’m giving a workshop on Saturday morning called “E-books Made Easy with Scrivener”. I expect I’ll see many familiar faces and learn lots of new ones. I’m excited! What a small world, Gwen! I was at two of the three conferences you attended. WOW! I’m amazed by your packing technique. I thought I took it seriously. My biggest problem: I am a shoe hound. 🙁 I love my Evernote! I haven’t started using it for personal stuff yet, but that’s the next step. I’m still working through my schedule, but will try to fit your class in. Cracking into your book next month when I start a new story. See you there! Elke: If you make it to my class–early morning, I know–try to say “hi”. Or maybe we’ll meet in an elevator. 😉 I hope you find the book helpful. Have a safe trip to Atlanta! Will do, Gwen! Thanks! Same to you! Thanks, Gwen! I promise not to pitch to you if we meet in the elevator. 🙂 Safe trip to you too! Have a fun trip. Atlanta in July is an experience. Will you be staying at the Peach Tree ? If you are, once inside your departure airport you can, if you want to, be in a tube or building of some kind the entire time you are gone. The trip from ATL to the Peach Tree registration is an inside experience. That was an odd feeling. From DFW to the Peach Tree desk and never went outside. Curtis: Inside as much as possible sounds like a good thing for Atlanta in July! Of course, I’ll try to get some fresh air every day or so. 😉 We’ll be at the Marriott, connected to Peachtree Center. I’ve already scoped out options at the food court. Thanks! Have a great time, Gwen! Gwen. Next year is in San Antonio? Now that’s the trip. Go early so you can enjoy the River Walk. See you in Atlanta, Gwen!